Ugly Christmas sweaters aren’t just for people. Buy your pets their own embarrassing holiday-inspired clothes, or better yet, knit them yourself. Let them revel in the shame and fun of parading in a badly-designed Santa-snowflake motif or maybe a Snowman-Christmas tree combo. Trust us, they’ll love you for it. But if you feel like leaving them with a little bit of dignity, maybe a cute Christmas-themed collar will do. Christmas family photos are a tradition and should always include as many family members as possible. Have your pets pose next to you or lay them on your lap; these make great Christmas cards and even better social media posts. No need to drink wine solo anymore. Oddly enough, there’s actually non-alcoholic wine for pets available now in the market. It’s about time our pets have an opportunity to cut loose even if it is only for show. Remember not to give them real wine or any alcoholic beverages as these are definitely not suitable for animal consumption. Take your pets outside for a walk or to play in the snow. It’s great exercise and a good reason for them to get out of the house and interact with other life forms. Build a Snow man, a Snow Dog or, better yet, a snow-obstacle course if you’re up for the challenge. Once you guys are done playing outside, wipe off their fur and paws as chemicals from salt used on pavements can damage their sensitive skin. 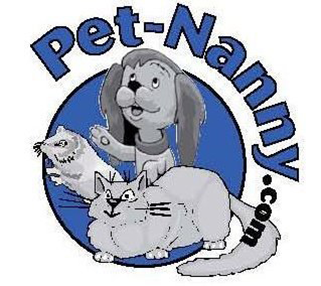 If you find yourself short on free time, Pet Nanny is happy to be your proxy. Find a comfortable spot on the couch and snuggle-up with your furry friend while you binge-watch Christmas movies. Mix in a cup of hot cocoa for yourself, a munchie for your pet, a warm blanket for the both of you, and you’re all set! Putting up your Christmas tree and hanging lights and decorations is a hundred times more fun with your pet by your side. Pop in some holiday tunes while you’re decorating and groove to the music with your pets. Make sure there are no loose electrical wirings exposed for your pets to chew or gnaw on, and never leave any small objects lying around that they can easily swallow. 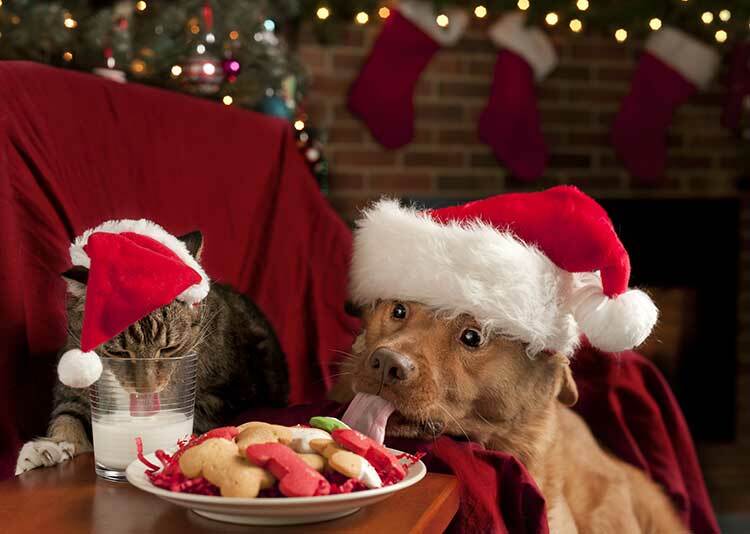 Some plants and flowers such as mistletoe, poinsettias, lilies, holly and ivy may be toxic to animals. You’ll definitely want to keep them away from these kind of hazards. Give your pets their own Christmas stocking next to all the family members. This reinforces their belongingness as part of the family and makes sure that Santa doesn’t forget about them when he’s making his rounds. Think of a great gift for your pet. It doesn’t have to be super fancy or expensive, just as long as you know they’ll enjoy it. We’re sure the whole concept of gift-giving will just fly over their heads, but that’s beside the point. Pets already love tearing-away at gift-wrappers, getting a toy or pet goodie is just icing on the cake. Make homemade Christmas treats. There are tons of recipes online that you can put a Christmas spin on – such as tuna treats, cookies or cheesy bites. As usual, avoid feeding your pets any human food and be aware of any allergies they may have. Christmas just won’t be the same without our beloved pet animals by our side. They just seem to have that magical ability to make our days even more bright and cheery. 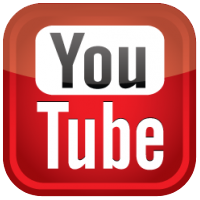 There will be times though, when our schedule or plans are tight and accommodating our pets are out of the question. Pet Nanny offers the professional pet-sitting services from daily feedings to taking your pets out for exercise. If you need more helpful tips for planning your holiday with your pets, give us a call 734-981-6108 or use our on-line contact form and we will be in touch with you shortly.